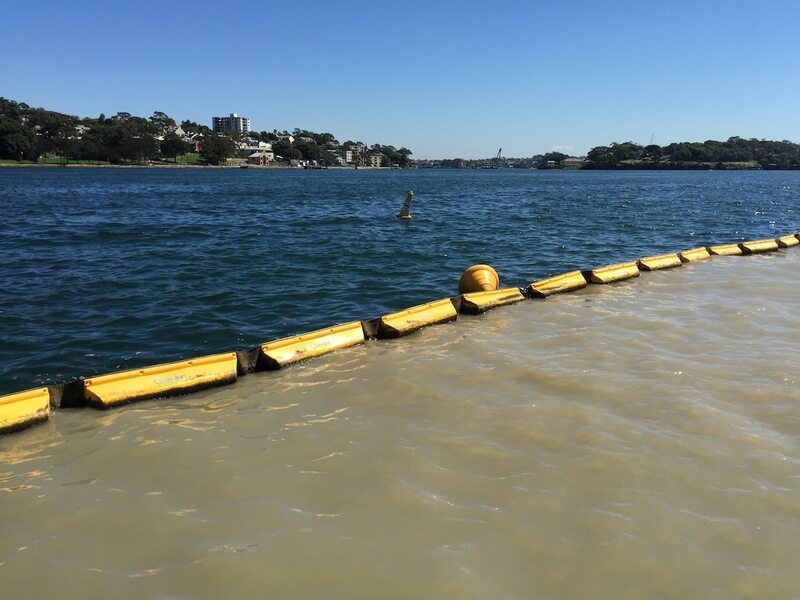 The heavy duty permanent silt curtain installed around Sydney’s landmark Barangaroo has been installed in situ by our project partners Polaris Marine for over 2 years. Chatoyer Environmental is proud of this engineered silt curtain, and as these photos show, it continues to perform very successfully. This area is a high frequency ferry area and general boating precinct in Sydney Harbour with hundreds of vessels passing very close to the curtain. Of course, over a two year period the curtain needs to withstand a wide variety of storms and weather conditions which this curtain has met which is essential given the close attention Sydney’s populous is giving to the development of this high profile site. Chatoyer Environmental specialise in the design and manufacture of silt curtains, in particular heavy duty permanent curtain designed for open water conditions with unquestioned reliability. We have similar heavy duty permanent curtain projects currently deployed in other areas of Australia and in New Zealand with equivalent performance. If you have projects coming up that may require a strong, reliable and permanent containment area, please contact us for a successful outcome.